We would be pleased to arrange for you to contact some of our past clients for reference. Here are few comments who booked services with Well Arranged Travel. How are you? I’m so sorry It has taken me so long to get back to you. Since I’ve been back its been wild! I do want to tell you the trip was great, I was happy with your hotel choice’s. I would also like to say on the front end of the trip when Raffale took us to Monteriggioni, we just loved it! A small town with out a doubt but just lovely. I also would like to add that Raffale and Nelly were great, very accommodating and kind. Be well and Happy Holidays. Been meaning for several weeks to thank you for inviting Jan and I for lunch in Rome. It was a real treat. Our trip was wonderful! The hotels you selected were excellent. The guides were all great, but we were really taken with Roberta on the Amalfi Coast trip. Maybe I just liked her the most because she was so happy, pretty, and bright. We loved the Grand Royal in Sorrento. We must have had the best room. Beautifully decorated, large, on an outside corner with two huge terraces or patios, both of which had an excellent view of The Bay of Naples. But the biggest one had Vesuvius right in the center of the doorway. The hotel in Siena was also very nice and we thoroughly enjoyed the food, the city and best of all the tours of the Tuscan olive groves, vineyards, flowers and Tuscan countryside. Can’t forget that both the Farm lunch with it’s simple but delicious food, and the incredible meal prepared and served for the two of us alone in an elegant dining room with seating for 17. The wine was excellent also, 4 different wines with a 2005 Chianti Clasico Riserva the last served with three slices of thinly sliced port tenderloin. We totally enjoyed the whole trip. Thanks for your suggestions, planning, arranging, whatever. . hope all is well with you, and we look forward to another adventure. I can’t believe it has been weeks since our amazing trip. I have been meaning to write, but as you can imagine, life and work have a way of taking over when you return from a long vacation. It is hard to express what an incredible time we had. The cities, the tours, the restaurants…and especially the guides…were fabulous. We had terrific fun with Paolo, who was so gracious and put up with our late days. And of course Nicola was as charming and knowledeable as ever. Lynne loved the Vatican and ancient Rome, and chatted away with Nicola about the Latin origins of modern words…a lovefest as I suspected! What can I say about our wonderful Rafaelle…he is just a delight and has such a keen sense of places people will enjoy. We had a marvelous time at the wineries he selected and sent plenty of wine home. Perfetto! And Brigitte helped us explore Florence as only someone who came to that city as a young student could…with great admiration, knowledge and fun! I am reading more about the Medici family now thanks to her inspiration. Thank you for everything! I am already dreaming up our next trip. Take care and talk to you soon. We had an excellent day! Was able to see a lot of beautiful villages Catherine was great, we really liked her. She was very professional and well-prepared! We did a picnic lunch too, with some excellent goat cheese that we bought straight from the goat farm. Catherine shared some tapenade and wild honey that she herself brought, very nice of her. We took some pictures, will send them to you when I get back to Phils. Thanks a lot for that We will definitely keep you in mind when we go for another trip ! We will probably do Spain next time, maybe in a year. We are having such a wonderful time. Here is a sampling of our views in Tuscany. The top left is our private terrace in Siena. Wow! Our guides have been so knowledgeable and gracious. Thank you for the impeccable planning. This tour was really something so unique and, wonderful. We had so many different wines and, foods. Even though I’m such a Brunello fan I really loved the winery in Umbria that had the Sangrantino. In fact we all just loved the whole experience and, we all ordered wine and, Gina and, I also ordered their olive oil. Montalcino was fun. We went to the wine shop there and, all ordered wine there too and, we also did some shopping and, had lunch at Claudia’s restaurant. The farm dinner with the steaks from the special white cows was excellent. They offered us more to eat after each course. The lunch with Raffaele’s family was truly wonderful. They are the most welcoming, down to earth people. It was so nice and, such fun. His aunt gave us a lesson in pasta making and, then had us doing it. His grandpa picked the zucchini flowers and, his aunt showed us how to do the batter and, get them fried and, had us do that too. We had plenty to eat. Raffaele’s home town is really beautiful and, we all loved it very much. Roger said if he were to move to Italy ever he would want to live there. We had a nice unexpected visit with a coppersmith who is quite an artist in Montepulciano. He was very gracious and, showed us some of work and, how it’s done. I could keep going on about all of the things we did and, saw on this trip but, it would take forever. I just wanted to let you know how really wonderful this trip was. Anyone who appreciates wine, food and, learning about some of the different area culture would really love this trip. We are happy we had the chance to go on this trip. It really was a different experience from what you usually hear about or see. The hotels were very nice and, all of the breakfasts were good too. Dave and, I really love Pienza. We really enjoyed Bevagna. It’s so laid back and, different from some of the places in Tuscany. It’s so ancient and, really beautiful. We really liked hotel and, the staff there. They were so polite and, friendly. We had some really nice dinners in Umbria very, different from what’s offered in Tuscany. It was interesting to compare the food and, the wine both. Ning: Bruno was excellent. Very knowledgeable, very friendly, flexible, kind. My son knew a ton about military history and he and Bruno had a great time exchanging info. I would highly recommend Bruno to future travelers. Thanks for the bookings. I find myself at the end of our trip in Venice where we met my wife and older son. What do you have here to offer? We have time tomorrow and Sunday. I just wanted to take a moment and thank you for another great job arranging tours for my clients. I received a call from Dr. Key and she said they had a marvelous time in Paris, and loved all the arrangements. She said they especially liked two of their tour guides, and when I get a chance I will send the names of those guides. I just really wanted to take a moment to send my thanks, and let you know how pleased they were with the arrangements you made for them. We had a fabulous trip, thanks to you. Eze was especially nice, took a yacht cruise in Monte Carlo. The rooms you arranged for us at all thrree hotels were fabulous, particularly the one first night at Les Baux. We actually had a big tree in our room, and a fabulous patio great food, both of the Guides you arranged to show us Chateauneuf du Pape and Avignon were excellent. We liked the market in St Remy de provence. Oh, and we lucked into June 21 first day of spring every town in France Music Day, so much fun. Ning, considering that we just found you on the internet and had no particular reference, you probably arranged the best tour we could have ever hoped for. Just wanted to take a minute to say thank you for the great tour you guys provided! Our guide was fantastic and catered to what my grandmother (an American Painter) wanted to see. She was very knowledgeable, spoke great English, and catered to the time restrictions we had. So thank you for helping make that part of our cruise an amazing one. I’ll definitely be referring you and using your company again to book tours in the future! Ms. Bond, I wanted to send you a note following our March trip to Paris. I apologize it took so long to send. My son Sam and I along with our two friends took a day trip to Normandy with Philippe. Our trip was phenomenal, it exceeded our expectations. Philippe was a great guide. He was a wealth of knowledgeable of all the history. Philippe took us to places we would have never expected to see and since we made such good travel time we were able to much more. I would highly recommend the tour. My wife Mary and daughter Jenna took a gastronomy tour in St Germain. They had an incredible time. Their guide was extremely knowledgeable and helpful in navigating the area. Just a quick note to tell you we had a great time in Paris. Our rides were prompt and our guides were terrific! We had Michael for 2 tours and a gal (can not remember her name for the muse d’orsay).- they were both very good. If I can answer any questions for you-please don’t hesitate to touch base. I just wanted to send you a quick note to tell you that Daniel was a fantastic guide in Normandy. We had a very moving and educational day with Daniel at the D-Day Beaches and other sites in Normandy. So, thank you and the staff at “Well Arranged Travel” for a very memorable day. If you happen to speak with our guide, please say thank you once again for us. Paris was AMAZING, the tours you arranged were FABULOUS – we LOVE, LOVE, LOVE our guide. The tours & special passes were well worth the money – the knowledge & history that was shared with us on the tours would never have been shared if we did it alone. Paris was MAGICAL!!!! Best trip ever. Just to let you know that everything has been great so far. The vans that picked us up at the ship were early and got us into town beautifully. We did our Vatican Tour today and Marina was excellent. Both her knowledge and her English were terrific and we enjoyed our time with her. Once again, I have to tell you that arrangements for today were perfect, although it was a long day. Renato was not only a good guide of this area of Italy, he was an excellent driver – and if you have been on the roads here you know that is a real asset. Antonio, the guide at Pompeii was terrific. Very knowledgeable of Pompeii and of Rome and Greece and the mythology of their gods. Our 17 year old grandson said it was the most interesting day he had for the last 3 weeks of vacation and that is saying a lot! All in all a wonderful day. Doris and I have returned to Portland from Paris and Normandy, tired but completely satisfied. I would like to tell you what a pleasure it was to have Philippe as our guide for Normandy and environs. He was timely, gracious, and, in general, a wonderful guide for Doris and me. We were able to see all of the sites and locales that we sought, and he carried out both the transportation and the guidance and presented the history professionally and with good humor. He is a real gem, and we trust that you and he will have a long association! We will certainly recommend your services. Just thought I’d let you know that my son, Zach, and I had a superb time with Paolo and Antonio at Vesuvius and Pompeii. The weather in Italy was not so great last week but THAT day was, by luck, perfect – sunny in the 70’s!. Paolo was right on time at the hotel and offered some delicious history en route to Vesuvius, a lot of which referred to WWII sites (appealing to me). He picked a nice spot for us to have lunch on the way down from Vesuvius and then we caught up with Antonio. He was a most personable, fun-loving guide who made our trek through the ruins feel like we were really re-living the past. Most importantly, he was genuinely responsive to the challenging and odd questions of my 11-year-old. I appreciated that. Indeed, it showed up on the video clips my son made. Paolo was more the intellectual of the two, more laid back and professonal and given to sharing his wealth of knowledge. Antonio was more boyish, the fun spirit, bouncing around, reversing step when he remembered something he forgot to tell us, and delighting in making something 3,000 years old come to life right before our eyes. Thanks, again, for making this day’s journey a memorable one. Just to say hello and thank you for the wonderful tours you provided for us on our most recent visit to France. We wanted to let you know how much we enjoyed our guide. What a star you have on your hands. He was so well prepared and managed to keep the entire party entertained with his knowledge and grace despite the horrid and rather English weather. A very charming, well-spoken and flexible guide indeed (and we are very spoiled having spent much of our lives travelling.) Our children are well-travelled little connoisseurs as well and they both thought he was tremendous by his ability to keep their interest alive in the subject at hand. We would not hesitate to recommend him. We hope to use your company again in the future and would be pleased to be reference if you need one. Just a quick note to let you know how much we loved our excursion with Raffale on Sat. Nov. 6th. What a wonderful young man he is. For sure we will contact you again when we once again plan another trip to Italy and, hopefully we would be lucky to have Raffaele as our guide/driver again. We did everything we wanted to do along with a short stop along the way to a very small wine cellar in Montefollonico. What a wonderful experience this was. Thanks to Raffale. We were even able to buy a couple of the wines while there. This was like no other wine cellar we’ve ever been to. We give Raffale the most highest marks for our excursion and, we hope we will be able to see him again. We truly loved him and, everything he told us about anything and, everything we wanted to know about. You will for sure have us contact you again when we once again go to Italy. We are so happy we found your web-site! Thank you for everything in helping us get this excursion the way we liked. I am tardy in getting a “thank you” off to you but, my delay does not in any way diminish the wonderful memories of our short but, sweet trip to France. Everything was as clockwork and, our guide Angelo couldn’t have been more perfect for us. He is so knowledgable in his history and brought to life the period of the places and events we visited. We got along famously and feel that we made a friend along the way. Angelo is a real gentleman and excellent guide. I would (and have) recommended to those who inquire about our trip, the services of Well Arranged Travel and Angelo. Thank you, again and, we hope to have the good fortune to use your services in the future. Just wanted to drop you a note to let you know that we had a great experience with Well Arranged Travel and would surely use your service again. We met our first driver at CDG Airport right after we picked up our luggage and he took us directly to our hotel. A little conversation that went along with the trip was fine. that we used him the next day to do a tour around Paris. He was terrific. Hope to have the opportunity to use Well Arranged Travel again. Thanks for a wonder time. Kathy & I enjoyed our tours very much. We took four tours, and all of the guides were knowledgeable, friendly, and professional. We especially want to thank Jean-Michael LaFond, our guide in Burgundy. We spent two full days with him, and he took us to vineyards, wineries, cellars, and tasting rooms. The second day, we tasted 25 – 30 wines. He gave us a real education on wine-making and tasting. We’ll always remember him. We’ll definitely think of your company in the future and recommend you to our friends. Sorry it took me so long to send you a report – but I have been very, very busy at the office since our return from France. First, we had a great trip – and your part of the trip was the highlight! The driver who picked us up at the Train Station in Paris was very professional, well dressed, polite, spoke excellent English, and was waiting for us with a easy to read sign. Our two days in Burgundy were the trip highlight. Our guide – Jean Michel Lafond – was simply unbelievable! We were extremely fortunate to get him. I cannot imagine how he could possibly have been any better. He was thoughtful enough on Sunday to contact our hotel in Beaune to confirm our meeting time on Monday morning and to let us know that everything was set. We started at the shop run by Domaine de l’Ange Gardine in Beune. We had a very nice tasting with the owner and his wife – a lovely couple. However, we learned very quickly that tastings in Burgundy are quite different from most tastings in Napa. We tasted 10 different wines at l’Ange Gardine. We had to hustle thru that tasting in order to make our appointment at Domaine Olivier Leflaive in Puligny Montrachet. I think the French just do things at a slower pace – which is certainly fine when you are tasting so many different wines. Jean Michel really added to the tastings by giving us tips and making suggestions and pointing out differences and similarities between the various wines. We followed that up with a nice tour at Domaine Olivier Leflaive. The tour was conducted by Patrick Leflaive and was followed by a lovely lunch tasting – where we tasted 14 wines! The lunch lasted a good 2.5 hours. The tour and tasting were not as intimate as our tasting at l’Ange Gardine, but were still very nice in large part due to Jean Michel’s guidance and comments. Jean Michel, Doug and I then went “off script” to visit some of the local wineries in Mersault that Jean Michel knew – I think he felt comfortable that Doug and I were very interested in the wines and learning as much as we could about Burgundy. We had a wonderful time and got to spend some very nice, quality time with these people. And, after spending the day with Jean Michel, we felt comfortable in telling him to feel free to change our plans for the following day to suit our tastes and the girls’ interests! It could not have worked out better! We started the day by touring the Grand Cru vineyards and getting out to learn a little more about the grapes, planting, tending and harvesting. We even got to visit two of the vineyards owned by the people that we visited next for our tastings! We stopped at Chantal Remy’s home in Morey Saint Denis. That was probably the highlight of our entire trip! We did 2 barrel tastings of their 2 grand cru wines, followed by sharing 3 bottles with Chantal, her husband and son. A lovely day that would not have been possible but for Jean Michel’s 30 year relationship with the Remy family! We then had a lovely lunch at a restaurant picked out by Jean Michel. We then visited Gerard Quivy’s winery – another friend of Jean Michel. We were able to simply take the keys and tour their cellars! Very fun. We then got to Dijon about 45 minutes before we needed to get to the train station so Jean Michel gave us a quick tour of some the major tourist attractions in Dijon. He dropped us off at the station with a bottle of wine from his winery! It was a great 2 days – I can’t begin to tell you all of the wonderful things that Jean Michel did for us. I would tell your guests that if they feel comfortable with their guides, they might want to allow their guide to make suggestions. I know we deviated from the schedule you had worked so hard to work out for us, but that made our trip! Day trip to Champagne area. Our guide – Gigi – was very professional, well-dressed, polite, spoke excellent English and was very knowledgeable about French history and the area. He was very accommodating and helpful to our every request. We enjoyed our tours at Moet & Chandon and Ruinart. Bottom line, when (not if) we go back, we will be definitely using your services. Feel free to use me as a reference if you need one in the future for your Burgundy and Champagne tours! Thanks again. I’m really remiss in not letting you know sooner how our trip was. Whenever we take a vacation, we have the “Ross family vacation from hell.” However, this was our best vacation ever! The drivers and guides that we had were all amazing and we enjoyed our time with them. Paolo and Raffaele, in particular, were wonderful. They went out of their way to make our time in Italy great. We learned a lot, had a lot of fun, and managed to relax. I don’t remember the name of the guide at Pompeii, but he was just wonderful. Your suggestions to stay at the Hotel Rafael and the Savoy were great. Both hotels were wonderful, especially the Rafael. It’s location was perfect. I think we’re planning on going back next year, so when we do, I’ll contact you for help again. Thanks so much for making our trip so enjoyable! Hi Jacqueline – just a note to let you know that our tour to Verona was wonderful. Raffaele did a very good job and we have a really fun time. The cheese plant tour and Balsamic Vinegar tasting were really a highlight to our trip and I wanted to let you know that you really should offer these things as a half day tour out of Florence (maybe with lunch, we had an excellent lunch (one of the best of our trip) at Restaurant Tito on suggestion from Raffaele. The people were very nice and the tours were informative and tasty! Thanks for again for assisting us with the arrangements. It was a trip of a lifetime but we are all very HAPPY to be HOME! I want to thank you for providing an excellent tour guide (in Normandy) for us. 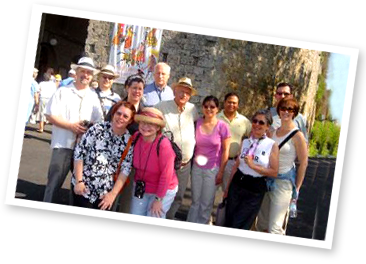 We have used private tour guides in Italy, Greece, Turkey, Mexico, England, Ireland and Scotland. The Normandy tour provided by Dino was truly outstanding. Dino’s knowledge of the tour area and history is comprehensive and impressive. The Normandy tour and transfer to Paris, provided by Dino, exceeded our expectations. I have just returned from France – via Toronto – and wanted to thank you so much for arranging our tour of Versailles. Our tour guide Claude was most pleasant and informative. Versailles is much as I remembered it – with the exception of the appalling crowds. I would pay a great deal more to be in the company of a great deal less humanity, but the gal I was traveling with had never been there so it was a first time experience for her. In any event, I do not recall ever seeing the Grand and Petite Trianon’s so that was a real bonus for me. Thank you for organizing this for us on such short notice. It was greatly appreciated! Just wanted to share some info with you. Our day trip from Rome to Pompeii and the Amalfi coast was wonderful. We had a marvelous driver……Paolo di Gangi. He was around fifty or so and very safe driver. He was lots of fun and was determined we have a wonderful day in spite of rain showers on and off all day. So thanks again for arranging it! We have returned and wanted to let you know how happy we were with our Paris tour guide Jean and our day trip to Versailles and Giverny! It was a really great day and everything worked out beautifully. Jean was very knowledgeable and easy to be with so we would definitely recommend you to our friends. My husband and I are planning a trip to Italy in November. I noticed on your website that you offer private tours to Italy as well. We have been to Italy several times and are looking for a guide to do some wine tours – specifically in the Brunello region of Tuscany. We want a real look at the winery’s – not just a driver to take us around to the different towns and then tell us to do the tastings in the local wine stores. Do you have a guide who can help us with something that specific? We are also interested in doing a cooking school for a day or two – so are interested to see if you can help us out with that, too. Jacqueline — Thank you so much for the “Welcome Home” wishes! First, please let me tell you how wonderful your Tour partners were in Italy. They were all wonderful, especially Tiziana. She went far beyond what would normally be expected from a Tour Director and we all really appreciated it. She often translated for us and it was often times a life saver! Everyone was pleased with the itinerary. The days were long, but no one complained. I know that our Villa location was a bit out of the way, but the view was spectacular and we would not have enjoyed our stay had we been in the city or a more populated area. I can’t tell you how relaxing and pleasant it was. I would not change that. I would be happy to recommend your services to other potential customers. Thank you again for helping me in my complicated planning. I will keep your services in mind if I ever attempt to undertake such a monumental task again in the future! Ning — I just have to tell you . . . you are so on the ball and such a pleasure to deal with! I’m so sorry we didn’t book the whole shebang with you, but Jim and I are new to this and we just followed the crowd. So . . . the next time we book something, I will be in touch with you. I don’t guess it makes a lot of difference that you are in CA and I am in PA. Thanks again for all your help! Hope you are well ?? Just a quick line to say a big thank you to all the team who looked after us!! Christian our Driver for the day was friendly and most accommodating… especially given the traffic home was horrendous…He did a first class job !! Antonio our guide at Pompeii was again friendly…..amusing… most informative !! I would strongly recommend Well Arranged Travel to all… we will most certainly be travelling with you again !! Once again many thanks to all !! The Fair and Pumphrey Clan !! We just wanted to drop you a note and let you know how much we enjoyed the tours. We booked two private tours. Panaramic Tour: Nice, Monte Carlo & Eze and Pompeii and Herculaneum private tour from Naples. Maria was our tour guide in Nice and she was great! She showed us all of the sites and was so knowledgable on the area. And she was too funny — she kept us laughing all day. We really enjoyed spending the day with her. My most favorite part was Eze. I’d love to go back and stay in one of the quaint hotels there. The guide in Pompeii was Antonio Passaro. He took us through Pompeii and Herculaneum and answered all of our questions. Both places were simply fascinating! It is hard to believe how the artifacts have been preserved for so long. Antonio answered all of our many questions with such patience. Antonio took us to a wonderful pizza restaurant in Naples by the water for lunch. The pizza was fabulous and we left very stuffed. Our driver was Rafael. He was so kind and always ready to drive us to the next stop. Thanks again for the great tours. We’ll definitely recommend you to our friends and hope to use your services again in the future. Well I’m back in Vancouver and wishing I was still on holiday. Mom, Tedi and I had a great time and were very pleased with all the accommodations and wonderful guides you organized for us. Paolo always delivered us safe and sound … he’s a very nice man. Take Care and I’m sure we’ll be in touch with you some other time for our next adventure. Raffaele, our guide, did a wonderful job at shepherding us through cities, towns, villages and countryside. Raffaele is quite knowledgeable and truly enjoys talking to people. He has a great sense of humor and shared his relationship with his family, which gave us an insight into the Italian family life. He also kept us moving and so we never were bored. This is Gail Thomas of Melissa, Ina, Carol and Gail–Your Louisiana friends. companion. I do so appreciate what a fine line you walked. You made sure we had fun and shopped, but you also saw to it that we saw what was MOST impressive and important everywhere we went. We are so sorry about the earthquake damage. How sad for so much to be gone so suddenly—and the terrible loss of life! We do hope you will come for a visit. I’m heading to Ina’s for a glass of wine as soon as I finish writing. We are still talking about our trip, and I am still writing up my notes—I am up to the day we left Florence for Rome! “I am still glowing from the fantastic trip with you, Luca and the ladies. I can’t tell you how much fun I had, and how much I appreciate your expertise in picking cities to visit (a great mix of large and small), fabulous guides, beautiful hotels, YUMMY food, and the amazing Luca. I’ve always had an allergic reaction to the large group tours, and this was the perfect combination of having details taken care of and having plenty of free time and choices in the mix. “We just got back last weekend from our Europe trip. You made our trip so special. We loved meeting Sara and her family at the farm. We actually met other people there from Texas that knew of you too so you are a popular person. We loved Rafaele as well. Please let him know again how much we appreciated his special touch on the tour of the region. “My husband and I are finally settling back in at home, so I had to write to let you know how the transfers and private day-tours that you arranged for us worked out. In short, they made our Paris trip an extraordinary, over-the-top experience, the memories of which we will cherish forever! Even the airport transfers were enjoyable, with the charming Phillipe as our driver. He is just delightful! So personable and funny and very much in tune with the passenger’s needs and moods. His English, as well as that of ALL the driver/guides, was wonderful, too. He also went above and beyond the call of duty. The Mercedes sedan was beautiful, spotless, and very comfortable. It also accommodated our extensive luggage quite nicely. The 12-hour Loire Valley tour with Paul was nothing short of incredible. He is a veritable encyclopedia of knowledge regarding the chateaux, the royalty and their many intrigues and escapades. His in-depth knowledge of French history wove a dimensional tapestry for us, filled with living, breathing residents for each chateau we visited, that allowed us to envision what life was like in the days when people actually lived in, rather than just looked at, these magnificent castles… these treasures of France. And our afternoon at Giverny, with our tour guide and driver, Salvatore, was absolutely spectacular. We felt like we had a friend in Paris who was taking us out to Monet’s exquisite country estate. As with both Phillipe and Paul before him, Sal was exceedingly knowledgeable. He anticipated our questions more often than not. He was extra-ordinarily personable, witty and totally accommodating. He made our afternoon at Giverny a time we did not want to end and a memory we will always treasure. “Dear Ning, I just wanted to drop you a note about our day in Tuscany. We were so impressed with Raffaele our tour guide. He was so informative and accommodating. He picked us up promptly – something I value immensely. His car was clean, new and a Mercedes van which was very comfortable. I was very impressed with the overall quality. We visited a small winery, lunch in a neat medieval village, Siena, and finished with some shopping in Florence. We decided not to go to the outlets since there didn’t seem to be any big savings. He was so accommodating and helpful that I would recommend him to anyone. Thanks again and please share my appreciation to Raffaele. We will do this again and look forward to our next trip in Italy! “My husband Dave and I used your services to arrange a personal tour of Versailles and were very impressed and pleased with our tour! The tour guide we had was phenomenal. She provided us with exactly the right amount of detail and flexibility that we needed to make this trip and our niece’s first trip to London and Paris absolutely enjoyable. In fact, Dave and I have recommended your tour services to others that we know travel to London and Paris as well as our travel agent. 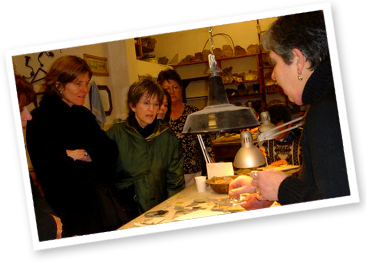 “I wanted to let you know how much we enjoyed our private tours in Paris. We were just delighted with Aurelie. My traveling companions had not had the pleasure of touring a museum with a private guide. After our tour, they were amazed by the thoroughness of her knowledge. We have two new converts to the word of custom guides! She was able to turn the visits into meaningful educational experiences. Our time with her was a true delight. 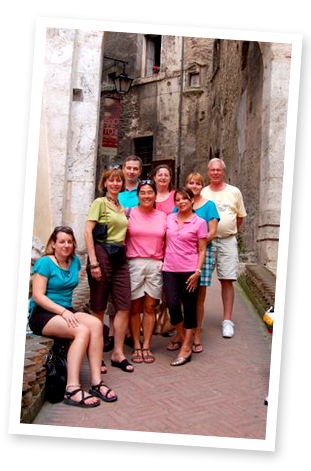 “The 16-day tour of Italy that Well Arranged Travel arranged for us definitely exceeded our expectations. The hotels we stayed in were not only centrally located but had their own unique charm. The included meals were well planned and almost always offered us the chance to enjoy the local delicacies. (My husband and a friend tried the horse and donkey meat in Verona!) The pace of the tour was just perfect because each day we had time to do our own thing (exploring more museums, go shopping, or simply taking siesta). The local guides were most impressive both in knowledge and good looks. (Who can forget Alessandro in Rome?) We thoroughly enjoyed visiting the little towns that were not accessible to the big tour groups. Ning Bond looked after every little detail to make our trip memorable and worry-free. ” We thoroughly enjoyed the tour, and we are still basking in the vacation “after glow”. We find ourselves extending our Italian experience by exploring Italian wines in our local wine stores, sipping cappuccino whenever possible, and buying Italian deli goods at a new Italian Food Centre that recently opened in our city. It is not quite the same thing as the real Italy, but it keeps the memories alive. We wanted to extend our thanks for a well-arranged travel experience that showcased a wide range of experiences and sights. We really appreciated the guided tours, which added an important dimension to the trip since we are both very interested in learning as we travel. We also wanted to pass on our warm regards for tour manager Max. We found Max to be very professional, conscientious, helpful and very keen to make sure that the group needs were met. ” I just want to let you know we had a great time in Italy. Everything was perfect. What a great vacation! Too bad we decided on just a quick tour of Florence. By the way Gresi was extremely knowledgeable and certainly made our time in Rome more amazing than we ever imagined. Definitely the best guide we’ve ever had. ” I want to say thank you for the personal care you’ve taken to make this trip in Italy so memorable! I am grateful for the high standards you maintain for the accommodations, which have been a perfect blend of European charm with modern conveniences. You also have chosen a wonderful asset in having Brigitta to assist in guiding us throughout the various cities with her knowledge of the language and cultural attractions. She has been more than patient and generous with our needs throughout the tour.